I've been posting about Mexico for the whole month so I guess it's time to give you a break and write about Milan... Milanese restaurants, to be more specific. Looking for a good seafood restaurant in Milan can be a difficult task, especially when you're looking for regional specialties, fresh seafood and honest prices. 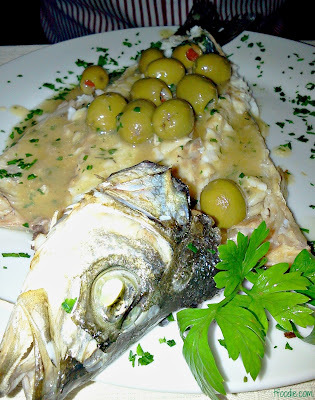 Apart from a couple of milanese classics like the old-fashioned Arcieri in the north part of the city and the hip Zio Pesce in the Navigli area, there are really few places in which we've felt we were having a good seafood dinner out. That's until we found Veliero 23. The place is located in the Piazzale Lodi area (south-east) of the city, not a great neighborhood, probably very few restaurants or bars in the area. The decor of the restaurant is not very fancy, actually it kind of reminds you of a 1980's trattoria (the 80's Italian music in the background helped me come up with this comparison). 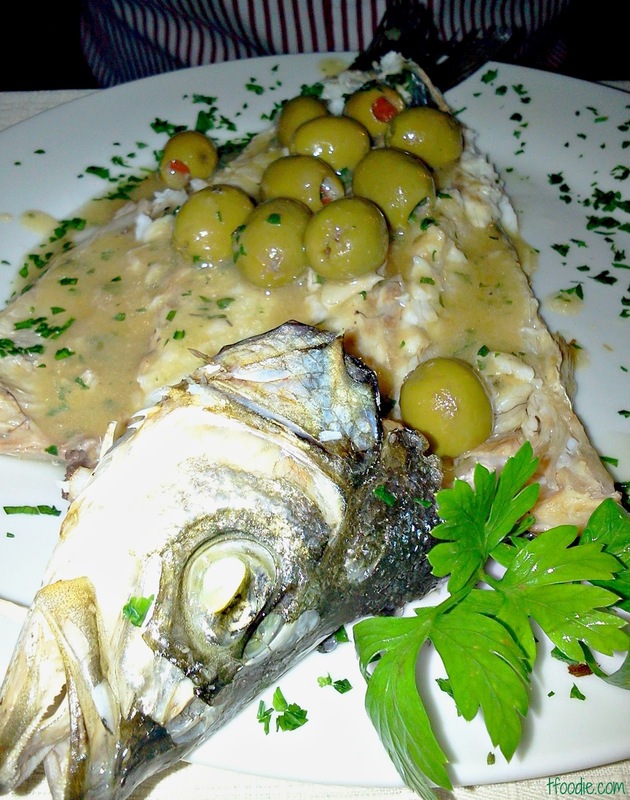 Anyhow, it is a Sardinian specialties restaurant with decent prices and super-kind staff. We got to book a table at their "privé" (it is a raised area in a corner of the restaurant with a table, 2 couches with a slightly private atmosphere - nothing fancy) and enjoyed a very quiet evening. We ordered the cold and hot starters which included opctopus and potato salad, salmon with red peppercorns, scamorza cheese with caviar and artichokes, mussels, etc. 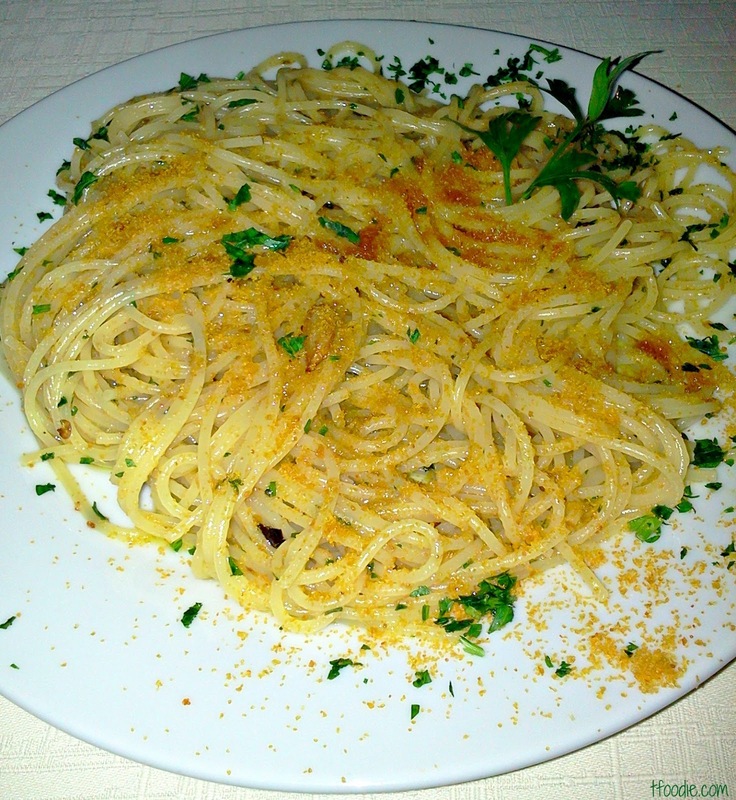 Then I had spaghetti with bottarga (or botargo, the roe pouch of grey mullet) and G had the seabass cooked with vernaccia wine sauce and olives. All dishes were very good, hearty protions and fresh taste. 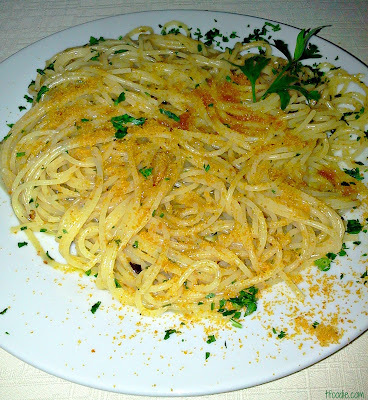 Perhaps my spaghetti were too much, because bottarga has a very strong, special taste so I got full with pasta and wasn't able to order desert, which I was very much looking forward to. We had a bottle of a fresh sardinian vermentino wine (Telave') and G had some sardininan pecorino instead of dessert. We were also offered mirto, a digestive liquor made of myrtle. The total was around 80 euro for the 2 of us. Our opinion is that this is a good option for a cheap, normal dinner with no-frills. So if you are looking for a beautiful milanese restaurant in which you pay more for the location, the nice tablecloths or overpriced wines, then this is not the place for you. But if you are looking for a good, inexpensive seafood place with no fancy stuff but truly kind staff and you don't mind the area then this is the place for you.